KIRKE (in French sources called Kertk, Quer(que), or Guer), SIR DAVID, adventurer, trader, colonizer, leader of the expedition that captured Quebec in 1629, and later governor of Newfoundland; b. c. 1597 in Dieppe; d. 1654 near London. David was the eldest of five sons of Gervase (Jarvis) Kirke of Derbyshire, merchant of London and Dieppe, and Elizabeth Gowding (Goudon), who may have been the daughter of an English merchant settled in Dieppe (BM, Add. MS 5533, 215). As an importer from Dieppe, Gervase undoubtedly had good information on French operations in North America. In 1627 some London merchants, including Gervase, formed a company whose object was trade and plantation on the St. Lawrence. When war broke out that year between France and England, the company financed an expedition, under David Kirke, which was commissioned by Charles I to displace the French from “Canida.” Accompanied by his brothers Lewis, Thomas, John, and James (sometimes called Jarvis), David Kirke set off with three ships probably in company with a fleet bringing settlers to Sir William Alexander’s projected colony at Port-Royal. 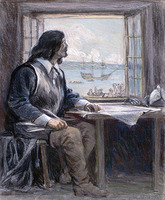 Kirke may have stopped at Ferryland, the colony of Lord Baltimore [see Calvert] in Newfoundland before ascending the St. Lawrence and capturing Tadoussac. 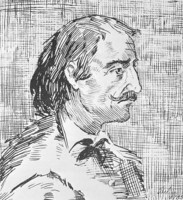 He seized one supply ship going to Quebec and then sent Basque fishermen to Champlain demanding the surrender of the post. Champlain rejected the demand because he was expecting relief from France, and Kirke decided against an attack on the fortified settlement. The English ships turned back to England, but they encountered the French supply fleet of four vessels under Admiral Roquemont de Brison and captured them without loss in a short engagement. When news of these events reached Paris the Kirke brothers were burned in effigy because, having been born in Dieppe, they were considered French citizens and their actions were therefore treason against King Louis. Impressed with the achievement of the Kirkes, their backers applied for a patent giving them the sole right to trade and settle in Canada. Sir William Alexander complained that such a patent would infringe upon the land granted to him under the Great Seal of Scotland in February 1627/28. The two groups compromised by joining in the Company of Adventurers to Canada to establish an Anglo-Scottish colony at Tadoussac with Alexander holding all the land within 10 leagues of Tadoussac on both sides of the river and with the united company having the right to free trade and use of the harbours. The second fleet, of six ships and three pinnaces, left Gravesend in March 1629 under the Kirke brothers, with Jacques Michel, a deserter from Champlain, again acting as pilot on the river. From Quebec, where the small garrison were now on the point of starvation, Champlain sent a party to meet the expected relief fleet which, under Émery de Caën, was bringing word that peace had been declared in April by the Treaty of Susa. Although the party did meet de Caën in the Gulf, they were captured by the English on their way back to Quebec. 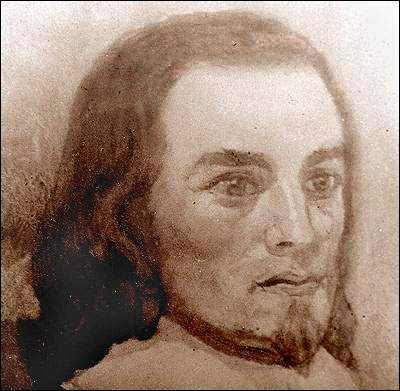 David Kirke, now aware of the desperate conditions at Quebec, sent Lewis and Thomas on to that post from Tadoussac, and Champlain, having no alternative, surrendered on 19 July 1629. 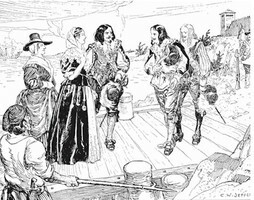 Despite the Treaty of Susa, Charles I refused to restore the captured lands in North America until his wife’s dowry was paid by his brother-in-law, Louis XIII of France. Protracted negotiations over the dowry and ownership of the furs seized at Quebec by the Kirkes were ended in 1632 by the Treaty of Saint-Germain-en-Laye and the adventurers were ordered to restore Quebec and Port-Royal to the French. During the intervening years the English had retained control of Quebec while the Company of Adventurers to Canada prosecuted the fur trade, contended with attempts at trade by both French and English interlopers, maintained 200 men in Canada, and explored “400 leagues” into the interior. In recognition of their services, David Kirke was knighted in 1633 and Lewis (who was knighted in 1643) received a patent of dubious validity to trade in the St. Lawrence. In 1635 Sir David wrote a description of Newfoundland based on a visit of uncertain date, and on 13 Nov. 1637 he was made co-proprietor of that island with the Marquis (later Duke) of Hamilton and the earls of Pembroke and Holland, the prior right of Lord Baltimore in Avalon being set aside because he was accused of deserting his settlement at Ferryland [but see Hill]. 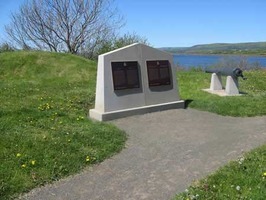 The patent issued to the Company of Adventurers to Newfoundland forbade any settlement within six miles of the shore and any interference with visiting fishermen. Complete freedom of the fisheries was guaranteed but Kirke was authorized to collect an impost of 5 per cent of all fish and oil taken by foreign fishermen. The coat of arms granted to these Adventurers is that of the Province of Newfoundland today. In 1639 Sir David, as the first governor of Newfoundland, took possession of Baltimore’s “Mansion House” and the other property at Ferryland. In the same year the four eldest Kirke brothers were naturalized as English citizens. As governor of Newfoundland Sir David soon came into conflict with the fishing merchants of western England, the so-called “Western Adventurers,” who were intent on preserving their control of the Grand Banks fisheries by excluding settlement from the island. Sir David had brought out about 100 colonists, erected forts at Ferryland, St. John’s, and Bay de Verde, and collected tolls from all fishing vessels. The charges of the Western Adventurers were that he had rented preferred fisheries to foreigners, destroyed curing buildings, and disrupted the industry by establishing taverns along the coast. Kirke replied showing the bias of his accusers and the faults of these summer visitors. 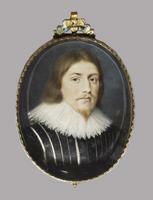 Because of family connections and dependence on royal favour Sir David supported the cause of Charles I in the English Civil War. After Prince Rupert induced part of the navy to join Charles’s forces in 1648, the Puritan government feared that Newfoundland under Kirke might be used as a royalist base for counter-revolutionary naval operations. Sir David, sometime correspondent of Archbishop Laud, hired 400 sailors in 1649 ostensibly as fishermen. The island was therefore kept under naval surveillance and strict controls were placed on access to the island, as in the case of Sir Lewis Kirke. In 1651 Sir David was called to England to answer charges that he had withheld taxes collected in the name of the government. His property was put in charge of commissioners, including Treworgie, who were also directed to collect the impost on foreign fishermen. The following year other commissioners were appointed to manage “the affairs and interest of the Commonwealth in Newfoundland” which included guarding the island against Prince Rupert. Treworgie appears to have remained in control in situ until 1659. Kirke’s estate was temporarily sequestered and in England he was called before the Council of State several times. As sole survivor of the original patentees Sir David transferred five-sixths of the patent rights to Cromwell’s son-in-law, perhaps for political reasons. The charges against Sir David were never substantiated and his wife was allowed to return to Newfoundland to superintend his business. Sir David, however, was imprisoned on a suit by Lord Baltimore’s heir for the seizure of Ferryland in 1639, and while in prison, probably in the Clink in Southwark, he died about the end of January 1654. The commissioners sent to Newfoundland in 1651 were in turn arrested on the suit of James Kirke for £1,100 owing to Sir David’s estate. 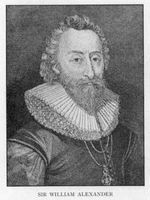 Apparently Lady Kirke and her sons, George, David, and Philip, continued to reside in Newfoundland, but after the Restoration Cecil Calvert, second Lord Baltimore, successfully reclaimed his father’s patent for Avalon though he never exercised his rights. On behalf of his eldest nephew, George, Sir Lewis demanded compensation for improvements made at Ferryland by the Kirkes. Lady Kirke petitioned Charles II that George be made governor of Newfoundland, an arrangement suggested by the Newfoundlanders themselves, but no resident governor was appointed. Lady Kirke and her children were still in Ferryland in 1673 when a Dutch fleet sacked and burned the settlement. 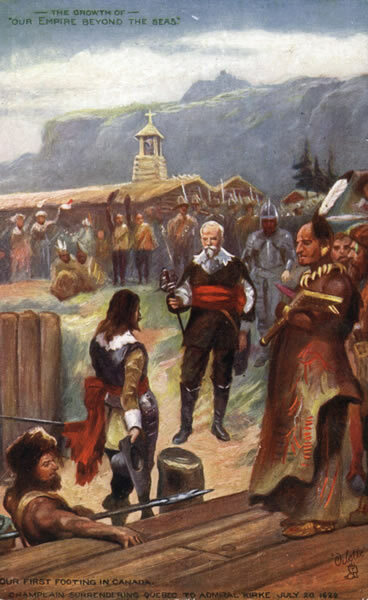 A decade later, in 1683, Sir John Kirke, whose daughter had married Radisson* and who was himself a member of Prince Rupert’s Hudson’s Bay Company, asked the king for compensation to himself and the families of Sir David and Sir Lewis for the losses incurred in the conquest of Canada in 1629, a claim that the French had never paid. The last reference to George Kirke appears to be in 1680 when he was proposed as a collector of the toll levied on all boats fishing in Newfoundland waters. David Kirke’s character remains obscure and controversial, heroic to some English writers, piratical to some French. His actions at Quebec have been denounced as those of a violent and grasping religious bigot, yet his relations with Champlain seem to have been gentlemanly and even cordial. In an age of violence Kirke behaved in Newfoundland like a self-appointed king of the fishery island, ousting Lord Calvert’s agent and imposing his own order on the transient fishing fleet. Yet the investigations of the Puritan parliamentarians into the activities of this known Royalist failed to produce any evidence of malfeasance on his part. The MS sources for Kirke’s life are relatively few and scattered, but the majority are to be found in PRO, C.O. 1/5, 6, 10, 12, 14–17, 21, 22, 24, 25, 34, 44, and 66, and in S.P. 25/16, 18, 25. The diplomatic correspondence concerning the restoration of Quebec and the disposal of the captured furs is in S.P. 78/85–91, and related material can be found in Acts of P.C., col. 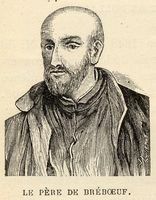 ser., 1613–80. Documentary evidence concerning the time and place of Sir David Kirke’s death is found in Somerset House, Surrey and Sussex wills, Alchin, f.379.. ... 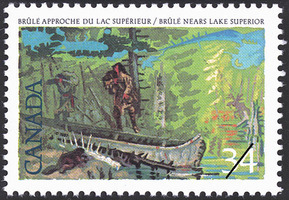 Contemporary material in print includes Champlain, Works (Biggar), VI and Sagard, Histoire du Canada (Tross), especially IV. 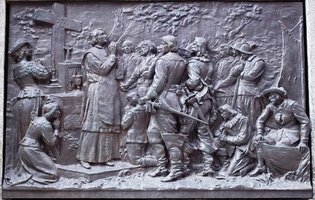 Lescarbot, History (Grant), III, gives a brief account of the capture of Quebec. Du Creux, History (Conacher), picks up the story of the English conquest only in 1632. 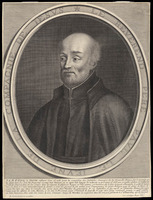 Eighteenth-century accounts appear in Mémoires des commissaires, I, 42–43, 71, 160; II, 275–77, 484–88; IV, 279–80, 301 and Memorials of the English and French commissaries, I, 115, 145, 214, 401, 421, 569, 571. ... Léon Pouliot, “Que penser des frères Kirke?” BRH, XLIV (1938), 321–35, discusses the problem of the nationality of the Kirke brothers. L. D. Scisco has published “Kirke’s memorial on Newfoundland” in CHR VII (1926), 46–51. The only monograph on the Kirkes is Henry Kirke’s The first English conquest of Canada of which the second edition (London, 1908) corrects many inaccuracies from the first edition (1871), but omits all documentary references. The best account of the relationship of the Kirkes to events in Canada and Acadia is given by Biggar, Early trading companies. A contemporary ballad celebrating Kirke’s victory has been published recently: Martin Parker, England’s honour revived by the valiant exploytes of Captaine Kirke: News from Canada, 1628, ed. J. Stevens Cox (Beaminster, Dorset, 1964)..
John S. Moir, “KIRKE, SIR DAVID,” in Dictionary of Canadian Biography, vol. 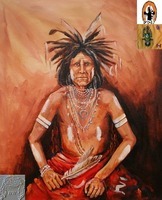 1, University of Toronto/Université Laval, 2003–, accessed April 22, 2019, http://www.biographi.ca/en/bio/kirke_david_1E.html.